My second cache on São Miguel, Azores. This is also a virtual cache because of very few safe hidingplaces. 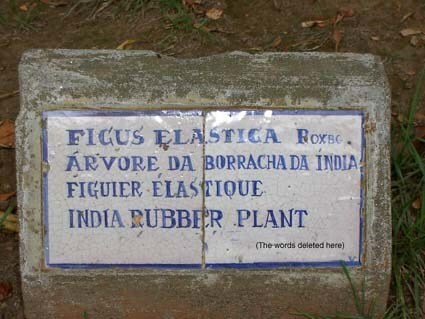 The actual tree has an interesting history itself. Go there and read about it. This is one of the most easy caches you´ll ever try! Just go to the GC and take a picture of yourself sitting at one of the H-U-G-E roots of this tree. Well, for all of You not having a camera, write ME the final word of the sign beside this tree, don´t publish it here. Enjoy! Vs Lbh pna´g svaq guvf bar, vg jba´g uryc jvgu nal pyhr!